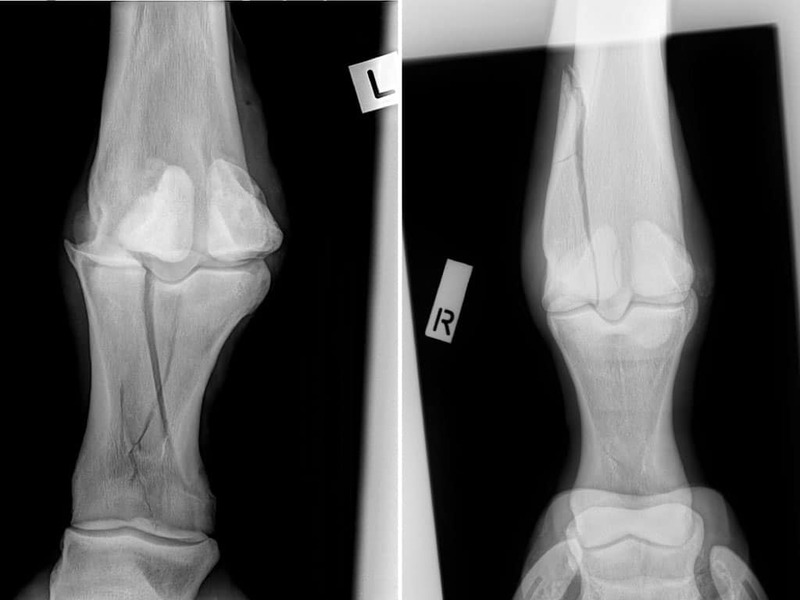 Radiography is one of the most commonly utilised imaging modalities in the horse. Ascot Equine Veterinarians have two digital radiography systems that allow either in hospital or on farm x-ray imaging. Images can therefore be assessed immediately. All digital images are stored in our computerised database and are available almost instantaneously on-line. Our staff and facilities can cater for a range of radiographic studies as part of a lameness assessment, routine foot balance imaging for ongoing farriery, yearling sales radiographs, or wound assessments. A range of contrast studies including fistulography, foal barium enemas, oesophageal barium studies, myelography and distal extremity venograpy can also be performed.